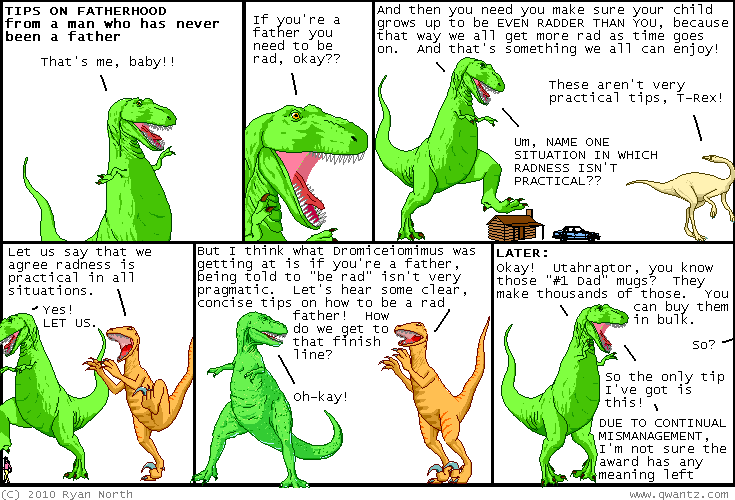 Dinosaur Comics - May 25th, 2010 - awesome fun times! One year ago today: "ryan north died today. he was the guy who put the words in the dinosaur mouths. man, remember them?"